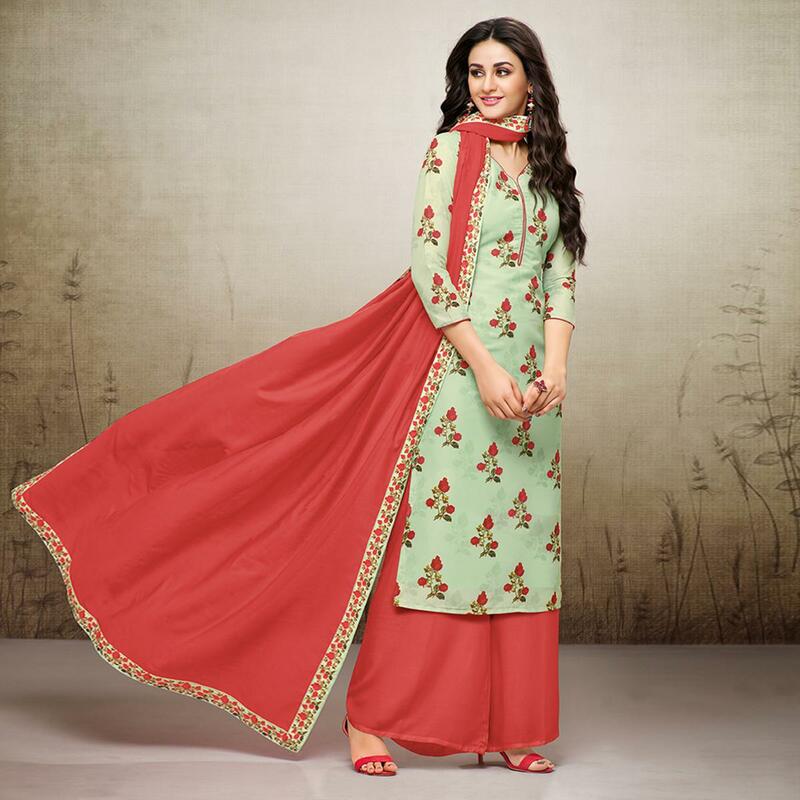 Refresh your everyday look wearing this beautiful pale green colored palazzo suit which has been designed using muslin cotton fabric. 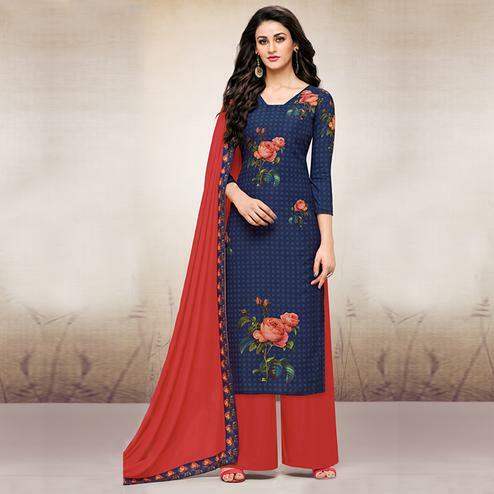 This dress is beautified with digital print work done as shown which is sure to match your choice. 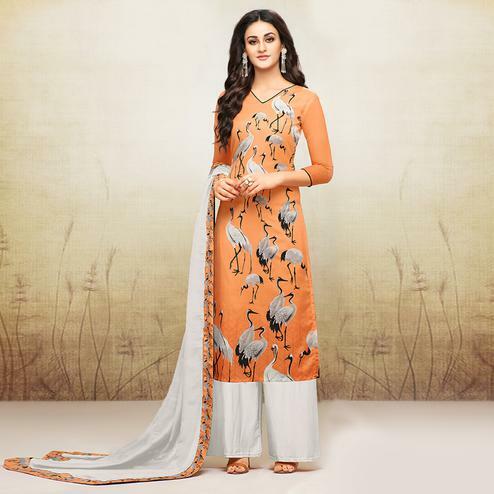 Comes along with stitched muslin cotton palazzo and muslin cotton digital printed lace border dupatta. 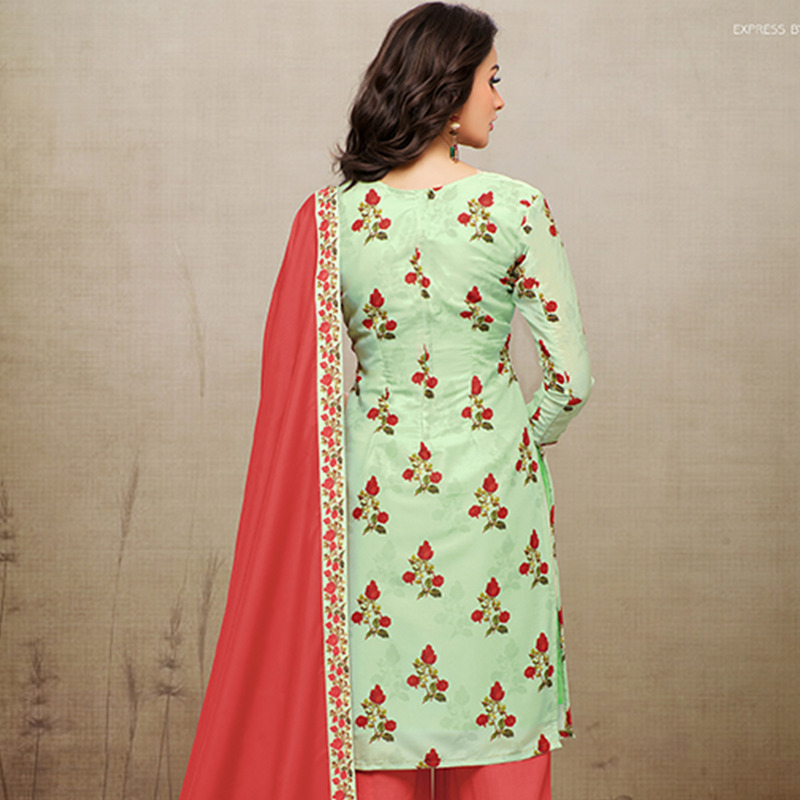 Women can buy this suit to wear for their upcoming functions, parties, kitties, weekend get together. 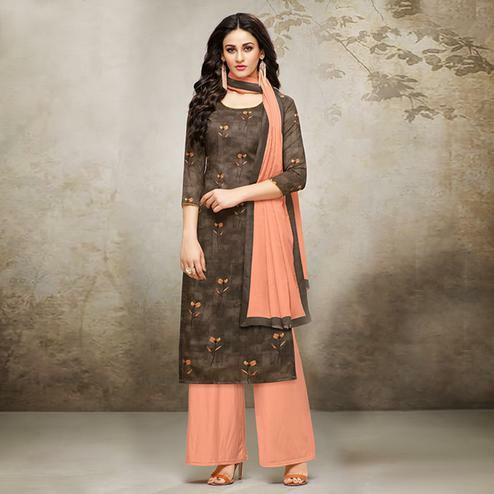 Grab this palazzo suit now as it's easy to maintain and comfortable to wear all day long. Team it with stylish accessories to make your looks more beautiful.